Goldman employees made nearly $130K -- in first quarter! An annual salary of about $130,000 probably sounds pretty good to most Americans. Well, guess what? That's the average compensation for employees of investment bank Goldman Sachs ... in the first quarter! So much for all those Wall Streeters complaining about how miserable their lives are. That hissing sound you now hear may be Elizabeth Warren's blood boiling. 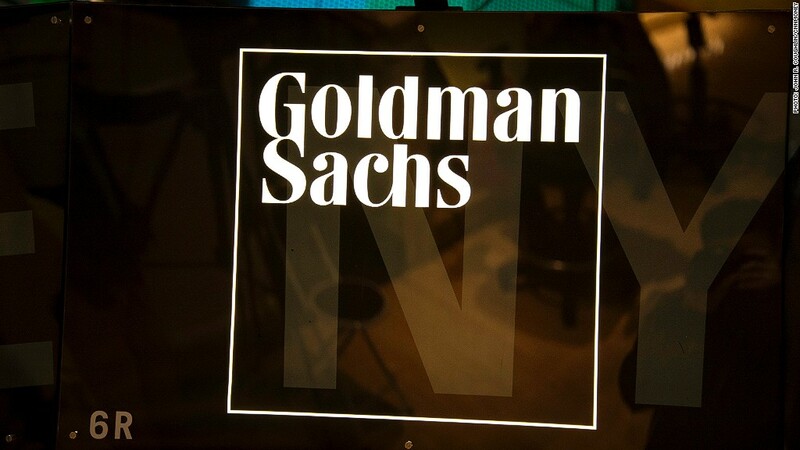 Goldman Sachs reported strong first quarter results Thursday morning. Revenues rose 14% from the first quarter of 2014 and earnings were up 41% to $2.75 billion. The company easily topped Wall Street's sales and profit forecasts. So the company decided that it was time to reward its executives, bankers and traders as well. Compensation expenses were up 11% from a year ago to nearly $4.46 billion. With 34,400 staffers, that works out to an average of $129,622 per employee. In its earnings release, Goldman Sachs said the big compensation bump was mainly attributable to its increase in revenues. It's worth noting that as gargantuan as this figure is, it still pales in comparison to how much employees made back in the glory days on Wall Street before Lehman Brothers went bankrupt. The average compensation per employee was nearly $100,000 higher in the first quarter of 2007 than it is now: $226,678. I'll stop writing to give you time to search for the world's smallest violin. 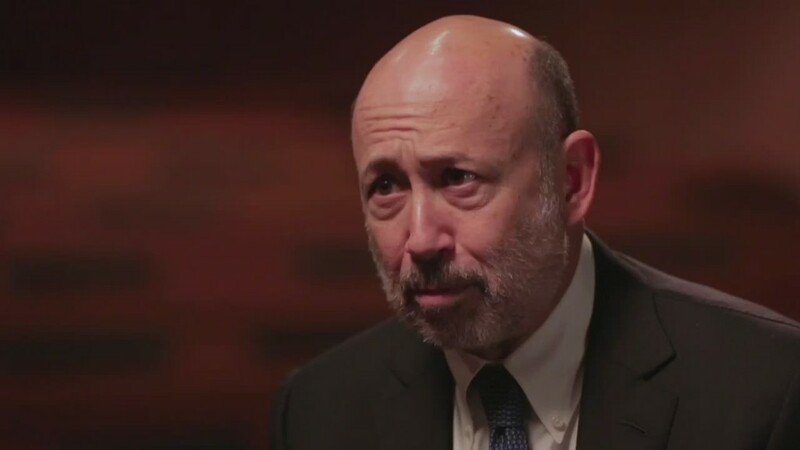 In a massive understatement, Goldman Sachs CEO Lloyd Blankfein said the company was "pleased with our results this quarter and the fact that all of our major businesses contributed." He added that the firm was "encouraged about the prospects for continued growth" due to "more normalized markets and higher levels of client activity." Goldman Sachs clearly has its mojo back. Shares of Goldman Sachs (GS) topped $200 Wednesday for the first time since the summer of 2008 -- just before the credit crisis. The stock dipped a bit Thursday though. But it's still up more than 25% over the past 12 months. The company said that investment banking revenues in the quarter were their highest since 2007. Trading revenues surged as well. It's been a long climb back. Goldman Sachs was the target of a major SEC probe in 2010 alleging fraudulent marketing of mortgage-backed securities. Executives were grilled in a contentious Senate hearing about the charges. The investment bank eventually settled with the SEC for $550 million without admitting any wrongdoing. Goldman Sachs also was infamously dubbed the vampire squid of Wall Street by Rolling Stone writer Matt Taibbi. It will be interesting to see if Goldman Sachs and other Wall Street rivals become targets of political and mainstream anger again now that business is booming, the stocks are surging and employees are raking in big bonuses and salaries. After all, the presidential election campaign has already begun and banks have often been an easy target for criticism -- especially since many Americans are still getting paltry raises. Sluggish wage growth and income inequality could be two big themes of the 2016 race. Related: $5.9 billion profit for JPMorgan Chase: Happy now, Jamie Dimon? To be fair, Goldman Sachs and many of its rivals are in much better financial shape now than they were before the Great Recession. Most have passed the stress tests conducted by the Federal Reserve. JPMorgan Chase (JPM) reported strong results earlier this week too. Bank of America (BAC) is profitable again after legal expenses led to losses in the first quarter last year. Citigroup (C) reported earnings on Thursday that beat estimates. And Morgan Stanley (MS) is likely to post a healthy jump in profits and revenue when it reports its results Monday. Say what you want about bankers being overpaid. It's hard to dispute that. But this is simply capitalism at work. Wall Street is enjoying a renaissance -- so it's no surprise that big bonuses appear to be back too.